Accessing more information at the bedside. 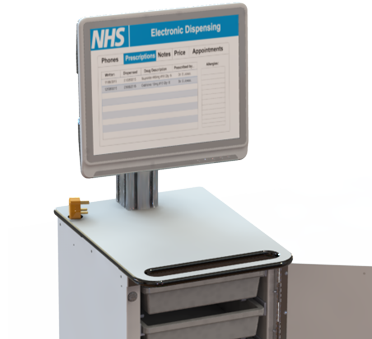 This Vital Signs Cart incorporates the vital signs monitor onto the workstation, meaning you only have to take one device to the bedside. The Mobile Cart also powers the Vital Signs Unit. 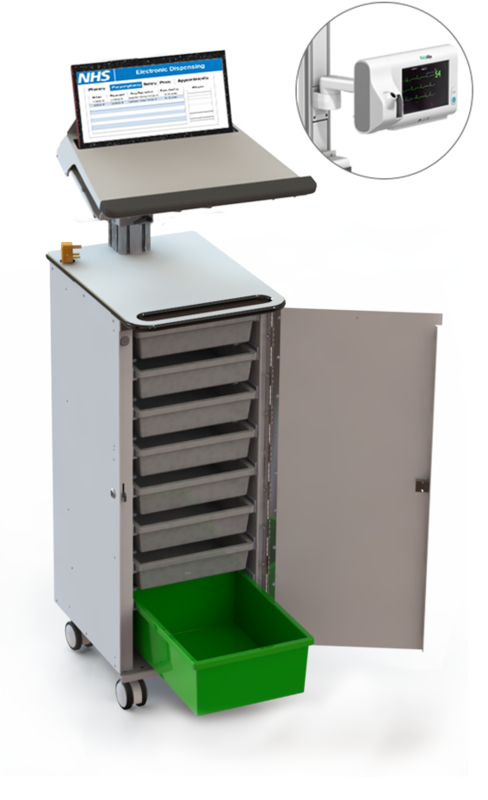 This Mobile Cart has masses of configurable storage space, RFID & manual door locking systems, and the door folds back to save space. Great for accessing medicine information: quickly and efficiently. Up to 19″ Laptop securely enclosed, with access to ports & drives on all sides. This Laptop Cart is great for infection control. It is perfect for use on wards, on theatres and any area requiring information access at the bedside. The Hygia MedStore Laptop Vital Signs Cart can be configured with a wide range of accessories, including the following and many more. 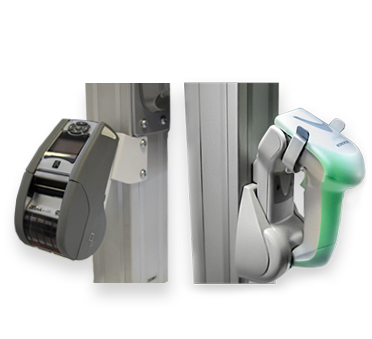 Configure your Cart with a printer & scanner to enhance workflow when accessing patient information at the bedside. 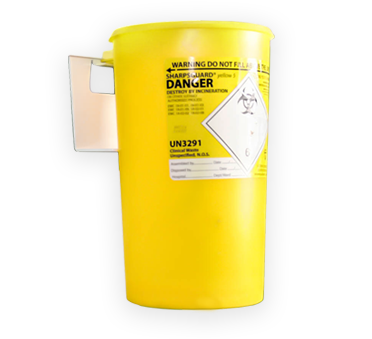 Mount a sharps bin to your Laptop Cart for infection prevention and control. 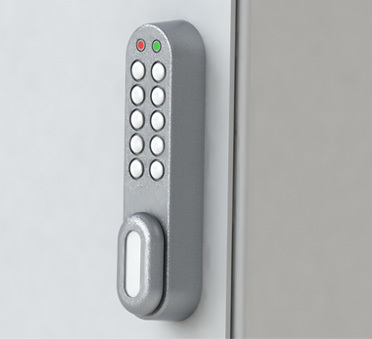 A digilock ensures that the medication stored within this Mobile Cart is locked safely and securely. This Mobile Cart can be equipped with a Medical Grade All-In-One PC, which has hot swappable batteries to ensure 24/7 constant power.